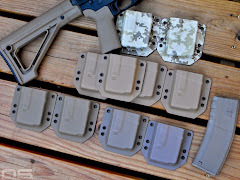 My latest batch of mag carriers is complete and they have a few design updates from the last generation. This time I cut the final carrier so that the magazine sits lower overall within the unit itself, while at the same time utilizing two rows of PALS rather than three for mounting. This sets the magazine lower on the body which makes grasping and drawing them a more natural motion, improving the economy of effort factor. My flat-back design still keeps them close to the body, but more importantly, relieves stress on the carrier itself from over-tightening or torquing during use. There are no corners standing away from your body or gear to snag or bend under weight. Angled corners provide comfort while belt mounted and after hours of wearing, they go virtually unnoticed, sitting, standing, and moving. 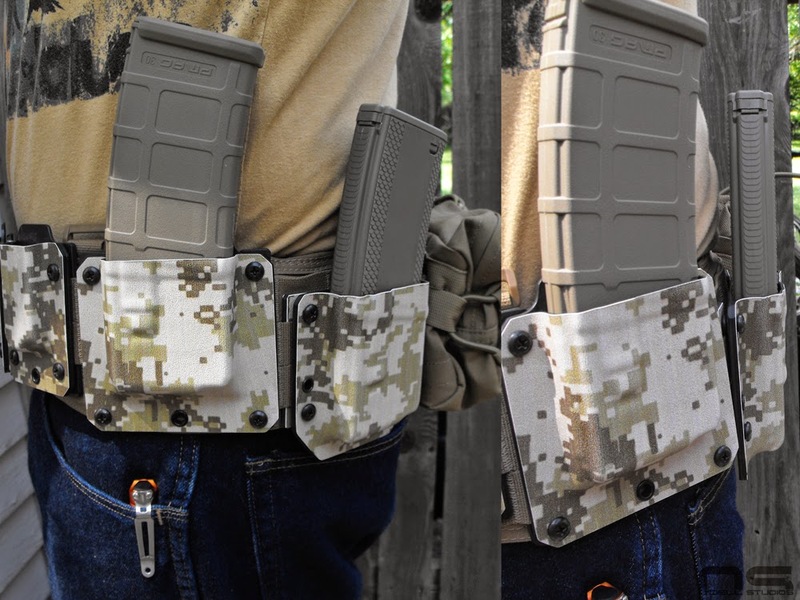 As before, my rifle mag carriers are specifically designed for the Battle Belt or War Belt user. I have worked on a tight molding technique that makes my carriers fit exactly inside three columns of PALS webbing. 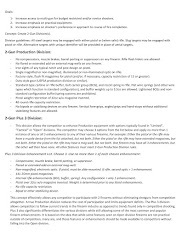 With the lower mounting design and the flat back, these are ideally situated at the waist for their intended purpose - emergency reloads. They space your magazines to facilitate gross motor, reflexive retrieval and expose only the lower portion of the magazine that is needed for a successful reload. Chest rigs are an excellent way to carry ammunition, but the magazines at your waist are there for moments when seconds count. 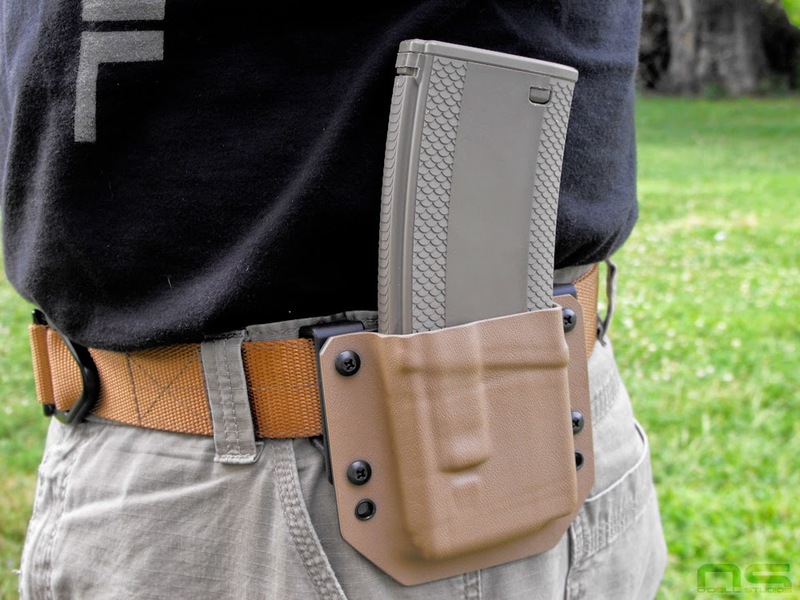 Enough magazine is exposed that you get a full hand "beer can grip", while enough is protected within the carrier that you do not over grip the mag. This prevents your hand from impeding a fully seated magazine as you bring it up to the rifle. Visit the Kydex page to learn more and see what is available. The previous and new generation side-by-side. You can see how much lower the magazine sits as well as the carrier itself, which moves them further from other gear and puts them in a natural position for retrieval. The Battle Belt itself puts some standoff from the body, but the flat design makes these ideal for a low profile rig.